In for an oil change, nice quiet Wednesday morning. Purchased a new QX50 a few weeks ago and couldn’t be happier. Rami and Jim were extremely helpful and was able to get everything done quickly while providing some of the best customer service I have encountered. 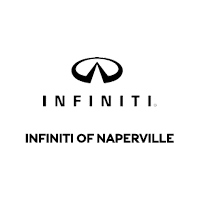 The buying experience was very easy and smooth at INFINITI Naperville. Everything that was promised was delivered. Everyone was very knowledgeable and friendly. Kevin went above and beyond. Usually I dread the car buying experience but Rob Carlson made it easy and great. He made the process painless and we were treated extremely well. I would recommend Rob to any of my friends and family who were interested in a car.